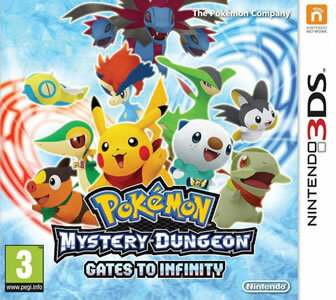 Released on the Nintendo 3DS, Pokémon Mystery Dungeon: Gates to Infinity is the ninth game of the Pokémon Mystery Dungeon series. The game makes full use of the 3DS's abilities, by showcasing the Pokémon in 3D models and introducing new interesting features such as the "Augmented Reality Options", the Multiplayer Cooperative missions and the Companion Mode. The game features Pokémon up to the fifth generation, with four of the starter playable characters being from the Unova region. The player will now have Pokémon Paradise as the main hub or town, which they can upgrade and improve as they progress through the game and gain more comrades. Additionally, Gates to Infinity does offer downloadable content, mainly new dungeons, that the player can access for some extra fun. Infinite Mystery Dungeons await you and your Pokémon friends on your quest to stop the forces that threaten Pokémon Paradise! Explore the infinite possibilities of Mystery Dungeons as they come to life with vibrant 3D graphics and detailed environments! Become a Pokémon and travel through a fantastic land inhabited only by other Pokémon! Enlist their help as you build Pokémon Paradise! 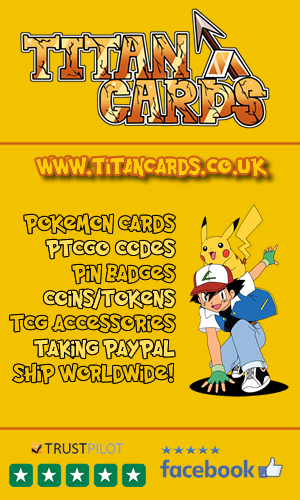 Play as Pikachu™, Snivy™, Oshawott™, Tepig™, or Axew™, and talk with other Pokémon! There’s a new adventure around every corner as you battle and befriend Pokémon, collect treasure, and explore Mystery Dungeons that change each time you enter! Use the Nintendo 3DS Camera to discover Magnagates in the real world that lead to new Mystery Dungeons! Play with up to 3 other people and explore Mystery Dungeons together in Companion Mode! The player and the partner then leave toward the Stony Cave, once again. But on their way there, they meet two Timburr that inform them that the Scraggy stole the blue gems and that he is located in Hazy Pass. The player's party heads to the Hazy Pass and reaches the sixth level, where they overhear a conversation between Scraggy and Gurdurr, revealing that the two of them are working together and are scamming other Pokémon. The player's team battles both Scraggy and Gurdurr and defeat them. The Scraggy retreats while Gurdurr is then confronted by the two Timburr that beg of Gurdurr to return to carpentry and stop the bad deeds. Gurdurr doesn't listen to them, knocks them down and leaves. After that, the two Timburr tell the player and the partner Gurdurr's story. It seems that Gurdurr was once a great carpenter, but one day he received a back injury that stopped him from working. Moreover, the last house that Guldurr built was a magnificent once, in which Guldurr put all his effort and soul. Yet, the house owner simply decided to destroy the house, neglecting all of Guldurr's efforts and how he made such a great creation, even with an injured back. Learning about the house destruction, Guldurr got mad and started scamming all those who want to build houses. The player and the partner are both touched by Guldurr's story and decide to convince him to build a house for them. They chase Guldurr across the dungeon, till he battles them at the top of the Hazy Pass. After defeating him, they insist on their demand, but Guldurr refuses. The partner then tells Guldurr that they'll accept the house no matter how it turns out, and that Guldurr needs only to do his best. Upon hearing those words, Guldurr cries, regretting his deeds and accepting the partner's request. The two Timburr and Gurdurr finish building the house, few days later, and the player's team sleeps there that night. In the morning, Quagsire visits Paradise, as the land is now called, and brings the two a Request Board, where many missions are posted. The partner chooses the mission "Saving Dunsparce" and the two head toward Stompstump Peak, where the Dunsparce was lost. After clearing half of the dungeon, the player's party comes across an Emolga, who turns to be Dunsparce's best friend and who's actually looking for him. The team continues even further, and stumbles upon some shiny and gorgeous crystals, from which they take one. Reaching the end of the dungeon, they finally find DunsparceDunsparce. He explains that he wants to be a great adventurer and that he went into the dungeon to find some beautiful crystals. The player's team remembers the crystal they picked earlier and hand it over to Dunsparce. While the party were busy rescuing Dunsparce, Virizion arrived at Post Town and entered the inn, attracting the attention of everyone around her. As soon as the player's group returns to Post Town, they hear a lot of noise coming from the inn, and soon learn that Virizion is in there. Dunsparce informs the player's team that the crystal he was meant to be a gift for Virizion, in order to gain her friendship. The group enters the inn and the partner starts to chat with Virizion, which informs them that she visited Post Town for the sole purpose of seeing the Rainbows of Hope. She tells them that there are four crossing rainbows that would literally fill anyone who sees them with hope. Dunsparce then appears and offers the crystal to Virizion, hoping to gain her favor, but she rejects him, as friendship doesn't interest her. Dunsparce feels broken and quickly leaves the inn, with Emolga getting upset with Virizion and following Dunsparce. Two Pawniard seem to have witnessed what happened and leave the inn too. The player and their partner feel bad for Dunsparce and try to go looking for him too. They meet Quagsire who informs them that Dunsparce left with two suspicious Pawniard. The team senses that there's something wrong and follows him to the Desolate Canyon. The team clears the dungeon and reaches Dunsparce who's trapped by the two Pawniard, trying to take his Poké coins off him. The player, their partner and Emolga who was following Dunsparce battle the Pawniard and defeat them. Although they lost, the Pawniard still summon four minions to battle the group again. At that moment, Gurdurr, the two Timburr and Virizion show up and battle the four minions, defeating them and protecting everyone. Virizion then advises Dunsparce to pay heed to whom he trusts, as not everyone can be trusted, but the partner disagrees with her and he confirms that many Pokémon are trustworthy. The partner then asks Emolga and Dunsparce to join him and the player in their quests and they both agree. Surprisingly, Virizion decides to tag along too, starting to change her views on friendship and trust. On the next morning, the player and their partner meet Dunsparce, Emolga and Virizion, accompanied with Pelipper, outside of their home. The player then pick a name for the team and the Pelipper leaves. Quagsire then appears and informs everyone that Scraggy has opened a shop near the crossroad area, that lets Pokémon remember forgotten moves and forget ones they have. The Pelipper then reappears and leaves a treasure chest behind. Inside the chest, the team finds a letter, a team badge that allows the use of the new skill "Team Attack" and a team bag. 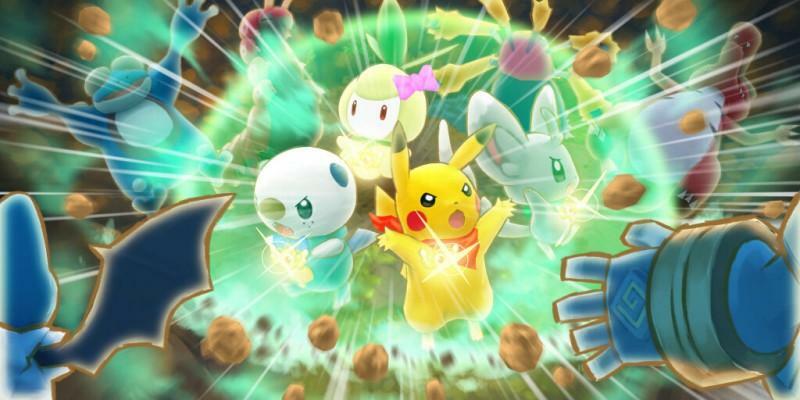 The team formed of the player, the partner, Emolga, Dunsparce and Virizion, heads toward the Forest Grotto dungeon, where they finish their first mission together and get to test the new "Team Attack" skill. On the next day, Gurdurr appears and tells everyone that, he too, now owns a shop. The player then takes another mission to do with the team, revisiting an already completed dungeon. Upon finishing their second mission, Gurdurr tells the group that they can now build more shops, but they have to provide Poké and items for them. Once the player's team finishes up many missions, they will witness a fireball flying across the sky. When the Pokémon wake up, on the next day, they witness floating colored circles in the air. Emolga then takes them to a bulletin board that appeared recently. As they reach it, the fireball appears and seems to be heading toward their location. It crashes where they were standing and a shop appears, with Victini inside of it. Victini tells the Pokémon that he too, wants to be a member of the Pokémon Paradise community. Victini presents his V-Wheel which lets them change the V-Wave of the day, in exchange of Poké. Although, most of the Pokémon are annoyed with Victini, he still gets the permission to stay in Pokémon Paradise. That same night, the player makes another weird dream, where a Pokémon is asking for help. They wake up and wonder if the dream is related to the one where Munna was chased by Hydreigon. The partner wakes up and realizes that the player was awake. After doing few missions, some events happen in consecutive days, starting with Dunsparce showing the team an icy area, far away. A shadowy silhouette is seen moving toward Pokémon Paradise, through the bushes. Then, the player gets another weird dream, where they rehear a Pokémon calling for help and even calling the player's name. On the next day, the player decides to tell the partner about the weird dreams and both soon meet with Quagsire, who gives them few Poké. Everyone soon notices that Pokémon from Pokémon Paradise are starting to disappear. The shadowy silhouette is shown again moving toward Pokémon Paradise. The next day, the player and the partner meet Dunparce, Emolga, Lilipup and Leavanny as soon as they leave the house. Lilipup and Leavanny are there to ask the player's help retrieving their friend Swadloon from Inflora Forest. The player's team goes through a dungeon and reaches the fifth floor. Swadloon is then shown uncovering two items with weird patterns and a red stone, but he soon gets attacked by the mysterious silhouette and screams for help. The player's team finds Swadloon after they go deeper into the dungeon, but he seems to have lost all his items. They take him back to Lilipup and Leavanny and the three of them are happy to be reunited. That night, the moon doesn't rise in the sky and the shadowy figure appears again and heads to Pokémon Paradise, but it collapses due to sickness. In the morning, as the player and the partner leave their house, they meet Emolga which takes them quickly to Swanna's store, outside which many Pokémon from Pokémon Paradise have gathered. Inside the store, they find out that the shadowy figure is an Umbreon, that Virizion seems to know. After the team finishes a dungeon, they come the next day to visit Umbreon at Swanna's Store. Umbreon is able to move once again, but hasn't fully recovered yet. The Umbreon tells the Pokémon about the Magnagates and shows them two Entercards. Swadloon notices that they are the same cards that he discovered in the dungeon of Inflora Forest. Umbreon then takes everyone outside and demonstrates how a Magnagate portal opens, after placing the two cards in a weird box. Umbreon gives more information about the Magnagate and the portal closes. He then requests the team's help to rescue his friend Espeon from Crags of Lament. As the group reaches the fourth floor of the dungeon, EmolgaEspeon is shown following a mysterious voice and being very badly injured. At the sixth floor, the team finds a checkpoint where they can hide the items and Poké they found, to prevent their loss in case they lose in the dungeon. Arriving at the tenth floor, Espeon is shown again in a worse state than it was before, and it gets attacked by Purugly and Toxicroak. Luckily, the player's team arrives at the pinnacle of time and defend Espeon, by battling Purugly and Toxicroak. Once the two villainous Pokémon are defeated they run away and everyone leaves the dungeon. Espeon then is reunited with Umbreon, and Leavanny and Swadloon show up. Swadloon then hands over the Entercards he has to Espeon and it turns out that Espeon was following Swadloon in the Inflora Forest, as she saw that he found the Entercards. At night, the Pokémon talk together about the Magnagate portal and a flash back shows Umbreon while it tried to open the portal once. The next day, everyone goes to check on Espeon and Umbreon, then the player's team heads to another dungeon. After clearing it, at night, Dusparce is shown looking at the far distance and Virizion, surprisingly shows up to keep him company. At first Dunsparce is surprised by Virizion's presence, as he thought she didn't like him, but then the two of them keep gazing at the sky together, while Emolga watches over them, hidden behind a tree. The next day, the player talks to Espeon and Umbreon and the two of them join the team. Next, the Pokémon of Pokémon Paradise gather, as Umbreon and Espeon are about to open the Magnagate portal. They place the Entecards in the box and they portal appears. The two then enter the portal, followed by Virizion, the player and the partner. Dunsparce feels down as he doesn't get to go, but Emolga, as his best friend, lets him go in her stead, pushing him through the portal. Emolga feels sad as she couldn't accompany Dunsparce, and he feels the same. The Pokémon find themselves in front of the Telluric Path dungeon. After completing Telluric Path, the group clears the Great Glacier dungeon, then, Espeon and Umbreon place the Entercards in the box again and re open a Magnagate portal. As they enter it, they get transported near the Glacial Underpass dungeon. They complete it and head to the Glacial Palace dungeon. The player and the other Pokémon go through the dungeon, reaching the eighth floor, where the find crystals and Frisms that can store voices emitted at them, and can be replayed later by warming them up. The partner tries to store a voice and successfully manages to replay it. Virizion finds a Frism with something already recorded on it. As she warms it up, Keldeo's voice comes out of it. She then cries, knowing that Keldeo made it that far. It seems Keldeo was once a companion of Virizion and they got separated. The group than continues exploring the dungeon, reaching the tenth floor, and finding a checkpoint where they can store their valuables. After they complete the thirteenth floor, they hear a loud voice coming from deep in the dungeon. A Golurk and two Cryogonal emerge, forcing the player and their companion to fight them. The Pokémon try to go even deeper in the dungeon, but a very cold wind blows and all of them are unable to move and fall, except for the player. Suddenly, the dungeon gets darker and a Kyurem appears in front of the player, releasing a cold wind as he roars. The Kyurem tells them to leave and vanishes, leaving a treasure chest behind. The group open it and are astonished by the amount of valuable items and Poké in it. They return to Pokémon Paradise and celebrate their discovery. 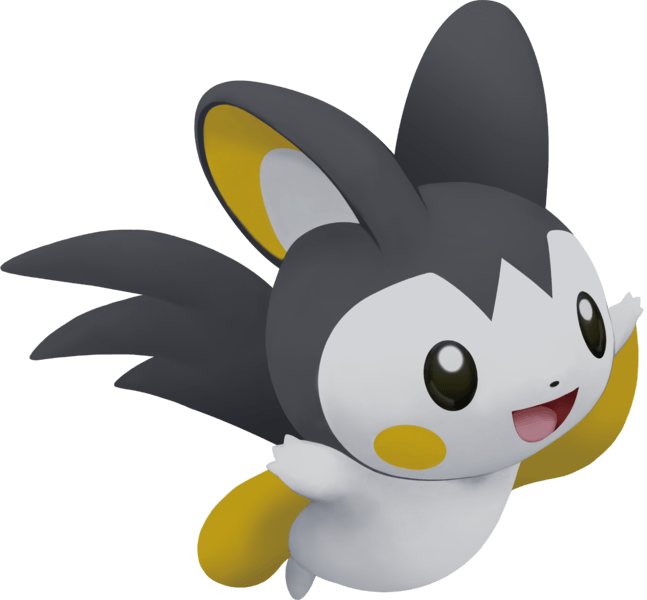 The next day, Emolga's voice is heard, and the player cannot find where it is exactly coming from. It turns out, that her voice was coming from one of the crystallized crystals from the Glacial Palace, and Emogla is seen planting another one. When she notices she's been found out, she runs away embarrassed. Sometime later, as the player's team finishes a dungeon, they dream again of a Pokémon calling them for help, but fail to know who it is. They tell their partner about the dream and then head toward another dungeon. Upon finishing it, they meet up with Rufflet and Ducklett on a hill, and the Pokémon look together at the horizon, noticing a shining yellow thing far away, in the sky. That same night, while dreaming, the player meets with Munna who turn out to be the Pokémon calling for help. The player and Munna discuss the nightmare where she is seen running from a Hydreigon. Suddenly, a bad thing happens to her and the player wakes up from the dream. The day after, the player tells everyone about their nightmares, which make everyone worried. The player and their partner then meet up with Espeon and Umbreon on a hill, and open up a Magnagate portal. This time, only the player and the partner go through it, and they find themselves near Kilionea Road dungeon. Upon finishing the dungeon, they make a camp and try to rest for the night. The player gets another dream where Munna talks to them again. The player wakes up and wakes their partner, telling them about it. Next, the two enter the dungeon of Forest of Shadows, in which they find a terrified Munna hiding, in a very dark area. Surprisingly, Munna's fear goes away, as Four Excadrill, two Gigalith, two Chandelure, Toxicroak and Purugly appear. They attack the player and their partner, causing the two to get separated. The player runs and enters the Daybreak Ridge dungeon. Upon reaching the seventh floor, they get cornered by Gigalith, Toxicroak and Chandelure but manage to defeat them in battle. Two Excadrill and a Salamence join the enemy ranks, and attack the player. The player is knocked down is about to be finished off by Salamence, when a Hydreigon appears and interrupts the enemies with Dragon Pulse. He, then, throws the player off the cliff, which confuses the enemies. Hydreigon flies toward the falling player and saves them. Few moments later, the player wakes up near Hydreigon, in a sort of cave. Hydreigon tells the player that he isn't a villain, which gives the player a flashback of the dream. Hydreigon is very pleased to see that the player is doing fine, and the two of them clear the Orche Quarry dungeon and enter the Withered Savanna dungeon. At the seventeenth floor, the player and Hydreigon decide to camp and rest, and the player remembers various events from the past, including Kyurem's appearance. Four enemy Excadrill then appear and are ready to attack them, but they somehow vanish. The two exit Withered Savanna and enter the dungeon Holehills. At the fourth floor of Holehills, the player finds a crystallized rock with the partner's voice engraved on it. The voice states that the partner was taken by Munna. Reaching the thirteenth floor of Holehills, the two find Munna, Toxicroak, Chandelure and Excadrill on a cliff-side, with the partner trapped in cage. The player proceeds to the partner's position following their voice and knocking out Toxicroak on their way. When they reach the partner's cage, the player realizes that a crystal was emitting the sound and not the real partner. They find themselves surrounded by enemies, but Hydreigon interferes and uses Dragon Pulse to keep the enemies away from the player. After some efforts, the player manages to save the real partner but they soon get surrounded again. Hydreigon picks the two up and runs away, with Salamence chasing after them. They manage to lose Salamence and Hydreigon finds himself completely tired, while the player and the partner rejoice how he saved them. Afterwards, a flashback shows that the crystal that they found with the partner's voice on it, was actually recorded by Munna, and she was setting them up. The player and Hydreigon tell the partner about their small adventure, and the partner is actually surprised that Hydreigon was actually a nice Pokémon. The three then enter the Scorching Desert dungeon. When they reach the tenth floor, Kyurem appears, freezes Hydreigon and crushes him into the ice. Hydreigon disappears, leaving only sparkles behind. Kyurem then attacks the player and the partner. As Kyurem is about to finish off the player, the partner protects the player and tries to stop Kyurem. A flashback of the yellow distant object in the sky is seen, and Kyurem tells the partner, that those yellow lights are merely humans who turned into Pokémon, that Kyurem defeated and which are returning to the human world. Kyurem leaves and, slightly after, Emolga appears accompanied with Dunsparce. The partner tells them the whole story and everyone returns to Pokémon Paradise. Back in Pokémon Paradise, everyone learns the story and Emolga and Umbreon are angered about it. Everyone else seems really sad and wants to avenge Hydreigon. 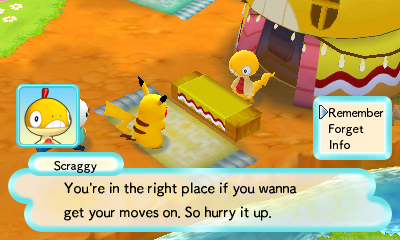 The Pokémon of Pokémon Paradise gather, and the player starts giving them plans on what to do. Suddenly, the ground starts shaking and everyone quickly heads to the hill. There, they see something flying toward them and everyone leaves, except the player, Swanna and the partner. That very night, the partner and the player both think about Hydreigon and what's going to happen in the near future. On the day after, Espeon and Umbreon give the player the Entercards and all the other Pokémon wish the player and the partner luck. The player opens a Magnagate portal and enters it, along with their partner, Virizion and Emolga, while Dunsparce stays behind, this time. The group finds themselves in the Tyrian Maze dungeon. Once they reach its eleventh floor, they remark a Glacier Palace floating. Soon, two Chandelure and a Salamence fly toward the group and attack it. The player's team manages to defeat the bosses, but a Chandelure tries to attack back and is stopped by Espeon. A flashback is seen, where the Magnagate portal lights the way to the palace. The player's group enter another Magnagate portal that leads them to Glacier Palace - Easter Spire. At the second floor, a cut scene show Espeon and Umbreon talking about what they may find in the dungeon. Reaching the sixth floor, another cut scene plays, in which Virizion and Emolga discuss what awaits them. Upon reaching the twelfth floor, Purugly and six Excadrill attack Virizion and Emolga, but soon the player and their partner catch up and help the two defeat the villains. Later, the group moves to the Glacier Palace - Western Spire. A cut scene plays and shows Munna talking to MunnaKyurem in a dream. Munna is then told by Toxicroak how her other friends have lost their battles. After the group clears the third floor of Glacier Palace - Western Spire, they hear a strong noise and a cut scene shows how Espeon and Umbreon broke through an ice door and found the Injured Keldeo, along with Entercards. After finishing the twelfth floor, a purple cloud appears above the Glacier Palace and everything starts to quake. The player's group is then attacked by Toxicroack, four Gigalith, Chandelure and Munna. The player's group manages to defeat the bosses, but they stand up again. A Magnagate portal is opened, and Keldeo, Umbreon and Espeon come out of it, to aid the others. Abruptly, the ground shakes again and the Glacier Palace starts to fall apart. Munna gets heavily injured and her comrades starts to worry about her. The player and the partner carry on, though, while Keldeo is immobilized by the pain, which saddens the rest of the group. The partner starts to feel very tired. The group enters Glacier Palace - Great Spire and reach its fifth level, where the partner starts feeling overly exhausted. They find a doorway from which purple lights are emerging. Kyurem appears at that moment, and battles them. After defeating Kyurem, the player and the partner enter the room from where the purple streams are coming. There they encounter Bittercold, who unleashes a devastating force, just as they set foot there. The force affects the partner, making it collapse to the ground, while it seems to have no effect on the player at all. The player seems to be the only one capable of defeating Bittercold. The player slowly advances toward Bittercold during the battle, while all the other Pokémon cheer them. Bittercold releases up to three different attacks, each time the player attacks it. The purple cloud hovering over Glacier Palace grows bigger and bigger, scaring the Pokémon in Pokémon Paradise. The player stops attacking and hits Bittercold with their head instead. The hit reveals a red core on Bittercold. The player hits it again and Bittercold falls, while releasing shock waves. The player continues to battle Bittercold and ultimately defeats it, causing it to shatter. The darkness surrounding the Glacier Palace disappears and the palace itself starts to crumble down. The Pokémon in Pokémon Paradise are worried about the others in the falling palace. Kyurem roars and transports all the Pokémon in the palace back to Pokémon Paradise. Dunsparce meets them and is relieved that they are well. The Pokémon then go on top of the hill, where they watch a rainbow across the sky. Suddenly, the Pokémon get shocked as they see Hydreigon's spirit appear before them. Quagsire, Gurdurr and Swanna join everyone, and they are pleased that everyone is doing okay. The Pokémon then celebrate at Swanna's shop, while the player talks to Hydreigon on the hill. The day after, the player leaves the house and heads to the hill, and all sorts of flashbacks of their adventure with the partner are shown. On the hill, the player talks with Hydreigon and transforms into a yellow orb. The two start floating in the sky while looking at Pokémon Paradise. Hydreigon then gives the player the partner's Frism on which Espeon, Umbreon, Swanna, Gurdurr, Emolga, Dunsparce, Herdier and Virizion recorded their voices together, as last good bye to the player. The player cries and the credits roll. During the after story, the player will be using the partner Pokémon to complete several dungeons, until they finish the Worldcore dungeon. After that, they may wish for the player's Pokémon to return. Once the player's Pokémon is back, things are back to normal and both the player and the partner's Pokémon evolutions are unlocked. The game features 151 Pokémon, some of which aren't obtainable as comrades. The available Pokémon range from playable characters, to NPC Pokémon helping or trying to hinder the player's advancement. At the start of the game, the player can pick one of five Pokémon into which they'll transform during the story. 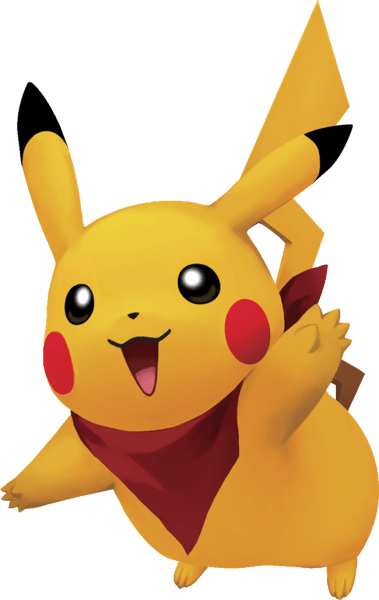 The playable Pokémon are mainly from fifth generation, including Tepig, Oshawott, Axew and Snivy, with Pikachu being the only one from a different generation. Moreover, the player will start out at level 7, instead of 5, and unlike all the other Pokémon games. For the first time in the Pokémon Mystery Dungeon series, the player may select the same Pokémon as the one they have as a partner. The choice list is the same as the playable Pokémon. Emolga: She's first encountered when the player and their partner were looking for Dunsparce. As his best friend, she joins the team when he does. 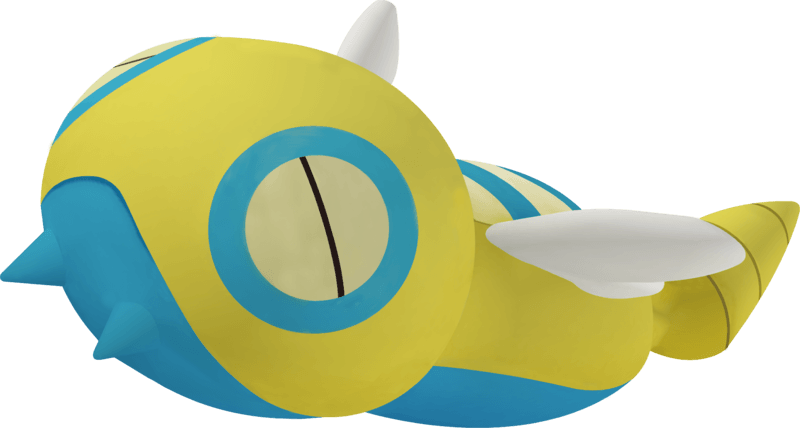 Dunsparce: The first Pokémon that the player and the partner rescue in their very first mission. He desires to become a great adventurer but is still too weak, to make it happen. His best friend Emolga watches over him a lot. He joins the team after getting saved. Espeon and Umbreon: They are brother and sister and both of them explore and research dungeons. Umbreon is first encountered, when it turns out to be the shadowy form. He asks the player for help and wants them to rescue Espeon. Once the two reunite, they take some time and then join the team. Virizion: A solitary adventurer, who's liked by everyone. She doesn't want to have any friends and the reason why is slowly revealed throughout the story. Her character develops and changes as the game progresses, as she changes her beliefs about friendship. She joins the player's team after they save Dunsparce. Hydreigon: Although he is first thought to be a villain, Hydreigon is a very kind and caring Pokémon. He saves both the player and the partner several times. He helped the player come to the Pokémon world and helps him again to leave it. He joins the team during the final battles. Keldeo: He's Virizion's old friend, and the reason why she doesn't believe in friendship. Keldeo was once trapped in the Glacier Palace, as he knew a lot about the Magnagates. He sent Virizion a letter putting an end to their friendship and causing her to lose faith in any friend. He joins the team after the player leaves the Pokémon world. 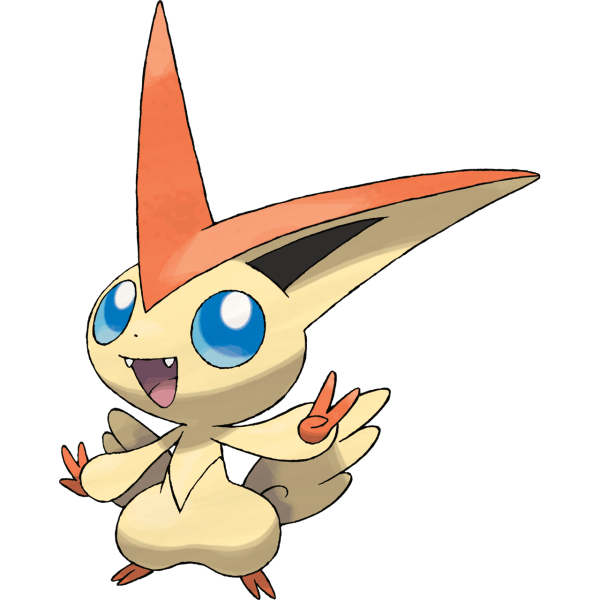 Victini: An energetic Pokémon that shows the V-Wavecast and runs the V-Wheel. Scraggy: He's a mean Pokémon and used to be a criminal. After he gets defeated, he opens a shop in Pokémon Paradise, helping other Pokémon forgetting the moves they currently have and remembering old forgotten ones. Quagsire: The Pokémon that sold the land, on which Pokémon Paradise is built, to the partner and the player. He helps them out in their first steps of building the town, as building their house and few shops. He opens a shop there himself, selling few items and offering to rearrange the player's team. Gurdurr: He is a great carpenter that can offer a variety of services. He was once a villain, as he scammed the player and the partner. After he gets defeated and later convinced by the partner to build their house, he returns to carpentry and stops the scam business. He can repaint houses and shops, prepare the land on which different facilities can be built and builds them himself with the help of the Timburr Brothers. Timburr Brothers: They are Gurdurr's apprentices who help him in building houses and shops. Azumarill: He's responsible for the Request Counter. There the player can cancel or accept any job or mission request. Meloetta : She appears in Pokémon Paradise after finishing the story and clearing the Worldcore dungeon. She wants to build a Musical Paradise shop in the town and asks the player and the partner for help. Once her shop is built, she asks to join the team. Pawniard Brothers: They ambush Dunsparce, after they lie to him about how they'll make him stronger. Toxicroak and Purugly: Both are friends with Munna and want to help her destroy the world. They change their minds at the end of the game. 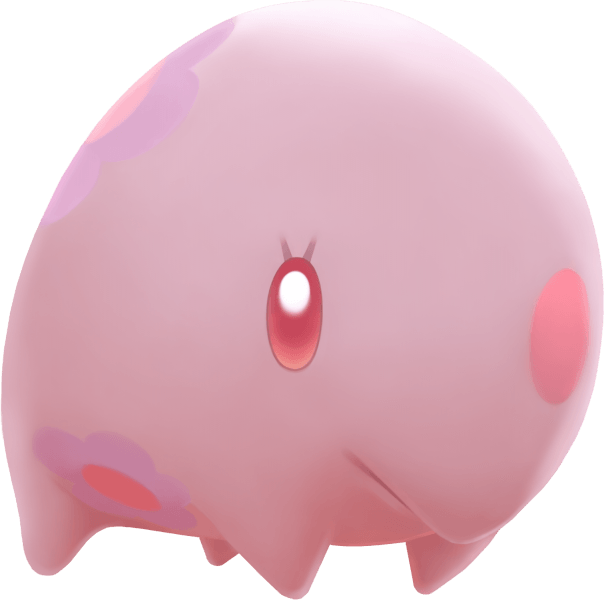 Munna: She was first thought to be a good Pokémon and one that required help. Turns out she's the one leading the other villain Pokémon and works for Kyurem. She aims to destroy the world and protect Bittercold. During the final battle, she changes her mind and cheers on the player. Kyurem: He forsaw the end of the world and believes that protecting Bittercold and the inevitable future is his mission. He's very powerful and stands in the player's way several times. During the last battle, he too changes his mind, as he's moved by the player's resolve. The player now starts at level 7 instead of 5. Up to 288 Pokémon can be recruited but only 144 are present in the game. When a player loses in a dungeon, they only lose few of their items and keep the Poké they found.If a Pokémon has multiple abilities, only one of them will be active, unlike the other Pokémon Mystery Dungeon games. After completing the main story, Mysteriosity auras will start appearing in dungeons randomly. These auras can have different effects on the floor they appear in. For example, they might cause consumable items to be impossible to use on a floor. They can cause a certain Pokémon specie, to be the only one appearing on that floor. When the player selects a mission from the Request Board, there's a number near a question mark. The number ranges from 1 to 5 and determines the chances that a Mysteriosity aura will spawn in that dungeon. The Wonder Mail feature that was removed in the previous game, is re-implemented, with the passwords used being way shorter now. Unlike the other games, when an item falls into fire or water and is destroyed by the process, It is now placed on the nearest road instead. The game offers full 3D gameplay and makes use of the 3DS's AR function, allowing it to scan round objects in the real world, which turns them into Magnagates and unlocks additional dungeons. The hunger feature appears only in the final three dungeons. Some of the dungeons that had no Pokémon to recruit in them, will have some, after the main story is complete. Moreover, some of the dungeons linked to the main story can be entered from other dungeons. The Pokémon attacks can now do no damage, if the opponent's defense and special defense stats are too high, instead of doing 1 damage. IQ skills are replaced with Team Skills, which affect all of the player's Pokémon. These skills can even be obtained from treasure chests, if the player is lucky enough. The player can only take one job request at a time. This will sometimes cause them to revisit certain dungeons, as some job request target the same dungeons. Three floor types were added to the dungeons; Gilded Halls, Uncharted Paths and Mapless Streets. 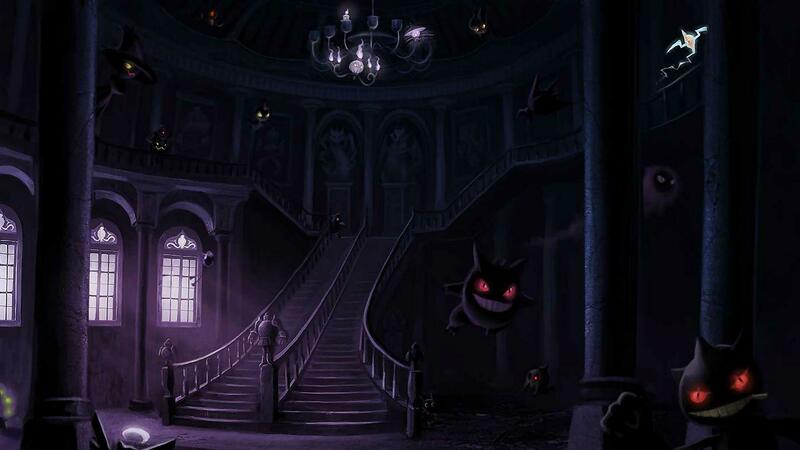 The Gilded Halls and Uncharted Paths will cause a certain type of items and Pokémon to spawn throughout the floors. The Mapless Streets are simply floors with no number. After entering a Mapless Street floor, the next normal floor's number would be the total of the floors that the player has been through. If the player doesn't take some of the recruited Pokémon with them to a dungeon, these will still gain experience, as the player completes the dungeon, and might level up the next time they enter one. The player may now use Wonder Orbs during a Boss battle.The game offers a mini games feature that can be unlocked upon building Beartic's facility in Pokémon Paradise. As the player goes the dungeons, they might notice some weird shapes on the ground. These shapes have special effects on the Pokémon that stand on them. The Eraser like shapes, make items thrown, while standing on them, disappear. The yellow star shape makes the Pokémon automatically attack two times. Some Pokémon moves now have ranks and can be upgraded, which increases their power, pp and accuracy. Moves that are based on factors cannot increase in power, while status moves cannot be upgraded at all. The player can build a Dojo in Pokémon Paradise, where the Pokémon can train and have their moves increase in experience and thus be upgraded. Enemy Pokémon can evolve if they defeat the player or if they are given a specific item. It is the first facility built in Pokémon Paradise, by Gurdurr. It is shown several times throughout the story, and the place where the player can save the game. It is unlocked after finishing the Hazy Pass. It has several missions posted on it, which the player can take on. It's updated every time a dungeon is completed. It is simply a request board but with way harder missions. It is also the request board used to take missions in the Local Wireless Mode. It is built on the right center side of Pokémon Paradise. It opens up when the player takes a job request from Azumarill. It lets the player send Reviver Seeds to their friends who fainted in dungeons. This allows the firends to be saved. It is run by Azumarill and unlocked after clearing the Hazy Pass. 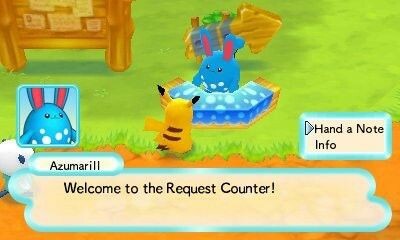 Azumarill will allow the player to take only one request at a time. The player can also cancel the request they've taken and even delete it. It is run by Scraggy who lets the player learn previously forgotten moves or forgot the ones they have currently. It's a shop run by Quagsire, selling a variety of items. It also allows the player to edit their party composition, rearranging their team's composition and switching its Pokémon. Here, the player can request of Gurdurr to build new facilities or redecorate the available ones. It Appears after Victini crashes down on earth. Here the player can spin the V-Wheel and aim for Victini's head on it. If they manage to win, they can change the V-Wave, which affects the weather in the game. It allows the player to trade certain items for others. Here, the player can gain information on the detours, in the different dungeons. The shop also sells keys for those detours. This shop sells item, for different sums than the other shops. It might sometime offer very rare items for sale. The shop will hold a sale at a certain time and then close after it. Within the Dojos, the Pokémon can train to upgrade their moves. This would cost the player 100 Poké daily. It is the equivalent of Recycle Shop in the previous games. Here the player can use the Prize Tickets they have, and try to earn some rewards. These are fields where the player may plant any Seeds or Berries they have. The planted Seeds and Berries will grow after a few days, and would be ready to be harvested. This facility appears randomly in Pokémon Paradise and is run by Drilbur. If the player funds Drilbur's excavations, he may unlock a special dungeon for them. These special dungeons can only be unlocked through this method. Talking to the Starmie running the facility, will allow the player to play a mini game, on daily basis. 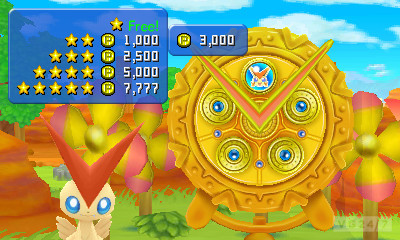 The mini game allows the player to earn a treasure chest. Another mini game shop, run by Beartic. This one allows the player to earn various prizes that differ in value. 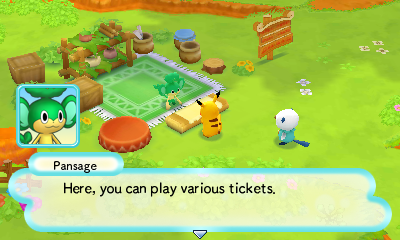 This facility, run by Meloetta, is very similar to the Sky Jukebox feature of Pokémon Mystery Dungeon: Explorers of Sky, as it lets the player listen to the different soundtracks available in the game. In Pokémon Mystery Dungeon: Gates of Infinity, the Magnagates are a key feature, as they play an important part in the main story development. The Magnagates open portals to far away dungeons, which are unlike the other normal ones. Using the 3DS's Augmented Reality feature, the player can open extra Magnagates by scanning round objects in real life. To do so, they need to first select the feature on the main menu. Select the "Open Magnagate" option, which will open the camera mode. The player has then to find a circular object, target it with the camera. If the object successfully connects, the player can press the A button to open the portal. The dungeon accessed with the Magnagate will depend on the objects color and size. The color will determine the dungeon's theme, while the scanned object's size will determine the dungeon's size. The player will come across some floors, in certain dungeons, where they can rest and store the items they have on them. Additionally, some of these floors have parts of them changed into a grid-like area, where the player can roam freely. Sometimes the player would have to complete certain tasks in order to leave these floors. It is a special attack that gets unlocked when the team obtains Team Badge. This attack is charged up throughout a dungeon, by using other moves and skills to defeat the wild Pokémon. Once the attack is ready, the player can press the L button, to unleash it. It will damage all the enemy Pokémon in the area, increase the friendly Pokémon stats and restoring their health points. This attack can be used many times, in the same dungeon. The Companion Mode lets the player control one of the recruited Pokémon, while the player's main Pokémon stays inactive in Pokémon Paradise. The player can access all normal features, such as going through dungeons and doing jobs with the recruited Pokémon. The rewards gained will be transferred to the main story mode, later on. Furthermore, the Companion Mode gives access to the Local Wireless Mode, where the player can access the local network with a bunch of friends and do missions with them, in a cooperative gameplay style. These are password that would unlock several rewards, ranging from items to Pokémon, when they are inputted in game. These are the normal missions, similar to those present in the previous games. During these missions, the player would have either to; Rescue a Pokémon from a certain dungeon, Retrieve a lost item from a dungeon, or defeat a Pokémon outlaw. These are unique missions that can only be accessed in the Companion Mode and the Local Wireless Mode. These missions are pretty simple but offer a great deal of rewards. 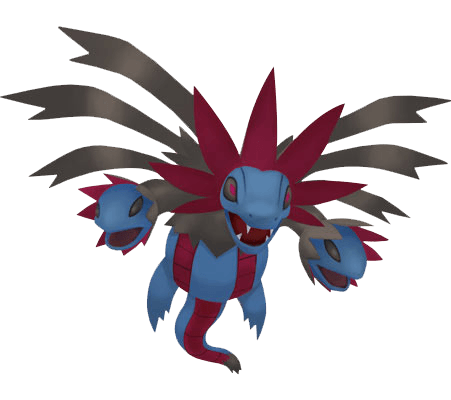 Generally, through these, the player would generally have to defeat a group of 4 Pokémon in a certain order, or they have to battle a legendary Pokémon like Ho-Oh, Lugia, Zekrom, Reshiram or Kyurem. Sometimes the legendary Pokémon will appear in Shiny form, giving them stronger stats and different move sets. A game demo is available for download on the Nintendo eShop. It allows the player to play the story mode until they reach the Hazy Pass. The player can also access the Magnagate dungeons, but cannot save them, for further replays. The Magnagates will also lack their full features, as they will not change according to the scanned object's color nor size. 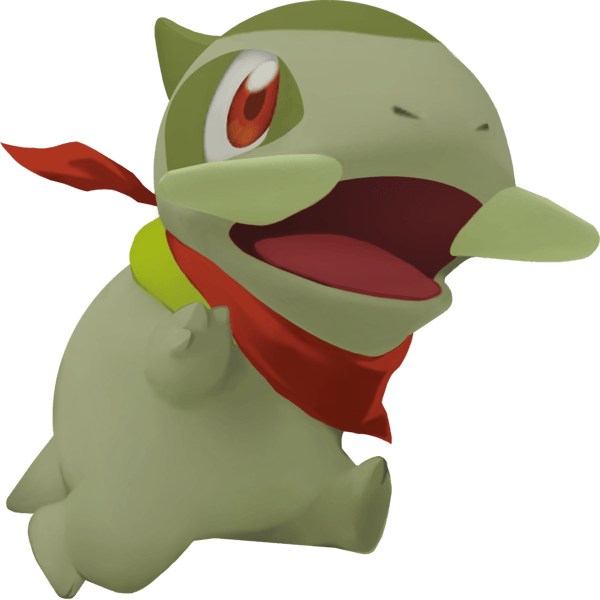 A selection of videos about Pokemon Mystery Dungeon: Gates to Infinity including the games intro, trailers and TV commercials. Victini was removed from the playable character's selection as it had a skill move which was considered a little overpowered. The Pokémon wasn't fully scripted either (Victini), as it lacks the sleep animation. It is possible to unlock Victini as playable character in the main story, through hacking. "Emolga's Enforcers", the team name that Emolga offers, doesn't obey the space limit given to team naming. The game offers only 5 playable characters to choose from, making it the one with the least character choices in the PMD series. The legendary Ho-Oh appears in the game as a Shiny Pokémon, having stronger stats than a normal one. 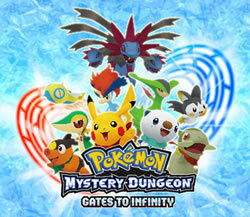 Pokémon Mystery Dungeon: Gates of Infinity is the first title in the PMD series to be completely detached from the other games in terms of past references and plot. Unlike other Pokémon Mystery Dungeon games where the player's character was chosen based on a quiz, this one is the second game ever in the series, to let the player directly pick their character. A Toxicroak and a Purugly are witnessed chasing after an Espeon. They are also two signature Pokémon for two respective Commanders from Team Galactic in the Platinum, Diamond and Pearl main series' games. A reference to the song "Call Me Maybe" of Carly Rae Jepsen is noticed when the player meets Swanna for the first time. All the previous Mystery Dungeon Games make use of Ken Sugimori's Artwork on their box art, except this one, which uses 3D models instead. Although the player cannot select the gender of their partner, in the International version of the game, this feature is actually possible in the Japanese one. 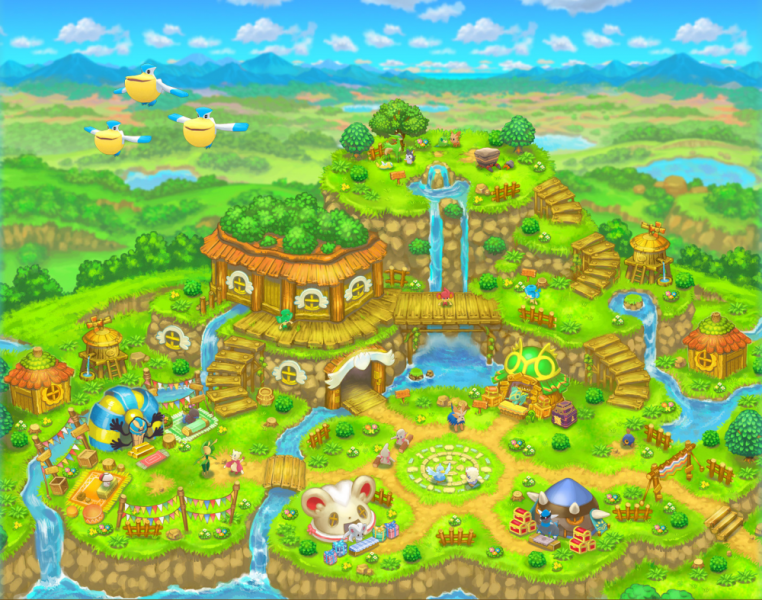 The game is the first in the Pokémon Mystery Dungeon series, to have only one version and the first to not feature all the Pokémon that were revealed at its release. Within the first three weeks of its release, the game managed to sell around 209 thousand copies in Japan, 68 thousand in Europe and nearly 151 thousand in the USA. The sales continued to grow, reaching a total of 474 thousand copies sold in Japan, almost 300 thousand in Europe and 406 thousand in the USA, with a final global number of 1.28 million copies. Heidi Kemps from GameSpot didn’t enjoy the game much either, stating “it's not poorly made and designed, but it fails to deliver much excitement or fun’’ and rating it 5/10, which equates to “Mediocre “ on the GS scale. On GameRankings the game earned a score of 62.34%, over 31 reviews, while it scored 59% on Metacritic, over 46 critics. Morgan "The Retro Goat" Hench reviewed the game on behalf of Pokemon Dungeon scoring it 2 stars out of 5. 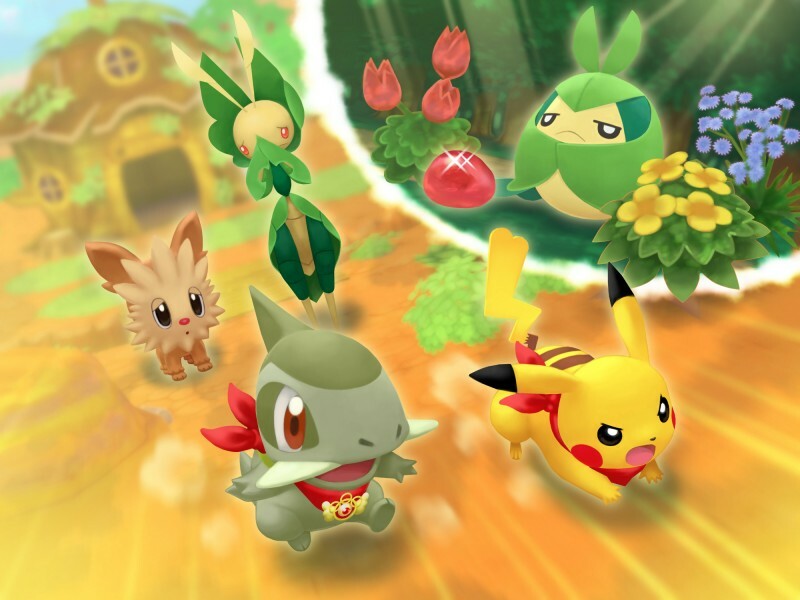 Overall, although the graphics have improved, compared to other Pokémon Mystery Dungeon games, the gameplay is still pretty much the same, it still gets repetitive and boring as soon as the main story ends.